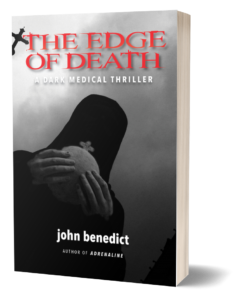 DEATH comes for us all…but BEWARE—do not linger ON THE EDGE! 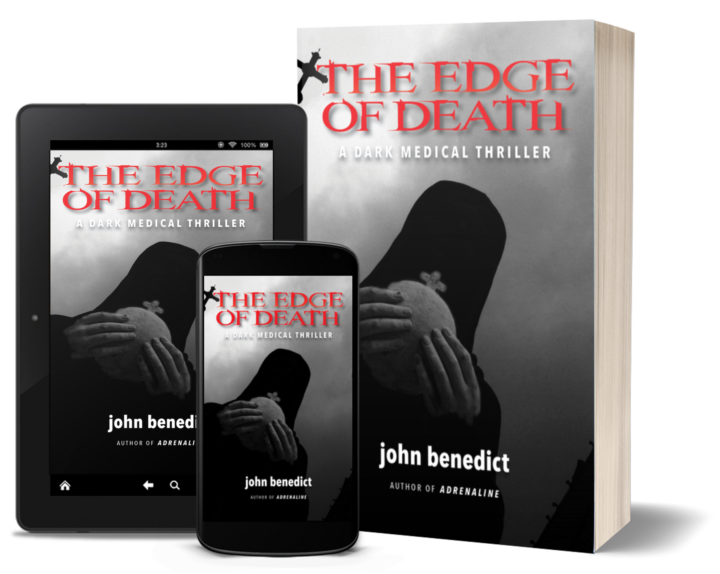 There’s a secret lab in the basement of the prestigious Buchanan Medical Center, where the newly declared dead become subjects in pathologist Gunter Mueller’s research in cutting-edge resuscitation medicine. None of his subjects have survived—until now. Not only is he alive, Nick Chandler has undergone a chilling metamorphosis into a man of supernatural prescience, superhuman strength, and absolutely no remorse—as Chip Allison and his friend Kristin Duffy quickly discover. Chip is on duty as monitor watcher in the ICU when Chandler is wheeled in; mere minutes later, Chandler has fled into the night, leaving behind a violently murdered nurse, the first of many victims. 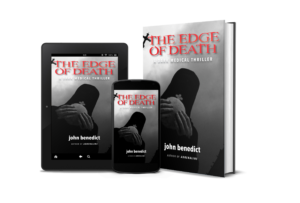 If your heart can take it, read a sample chapter from The Edge of Death or check out the reader comments first. just stayed up way too late last night to finish “the edge of death”. What a great book ! Congrats,John. This was a real page turner. I was thinking I was able to predict the outcome, but no…..! I loved it!